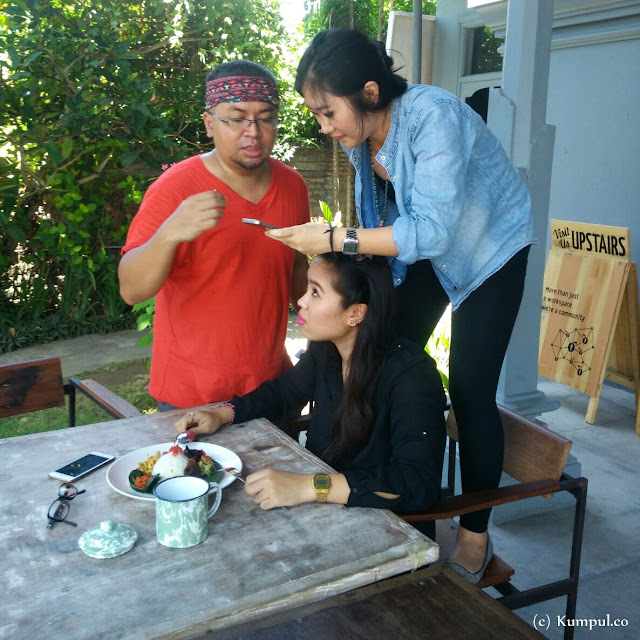 On December 12th we finally made it and launch our first off-event Casual Food Photography Workshop in Kumpul Coworking Space in Rumah Sanur, Bali. 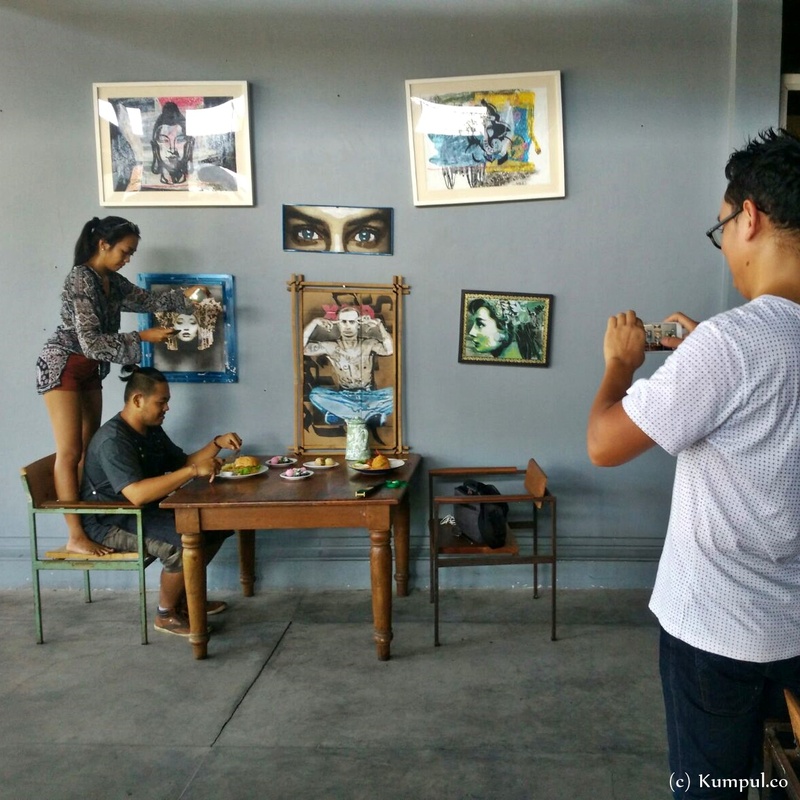 The format is half presentation and questions, and half hands-on photography workshop, which lasted for 4 hours instead of the planned 3 hours. Why is it called "Casual"? 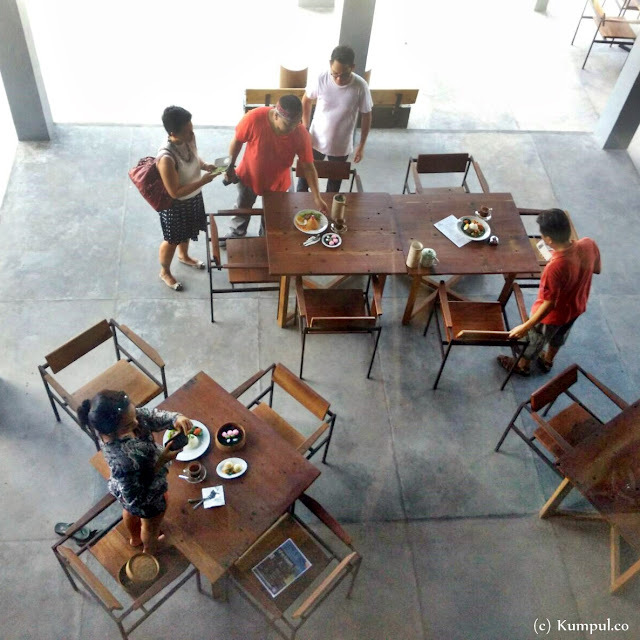 Because originally it was intended for foodies, casually reviewing restaurants using whatever camera they have, in whatever condition exists, and whatever resource is available on location, which requires them to get street smart and act quick. It's a whole different animal compared with dedicated food photography session where you can have the room for yourself, setup flashlights and reflectors, have the whole day/half day for your photo session, bring your own gimmicks and props for the shot, direct the chef on plating, or even bring your own food stylist. Before this event, there were two other similar workshops: one in Ubud Writers and Readers Festival 2015 where I'm sharing the floor with the food travelers Napakrasa from Bandung, and the second one was in Lippo Mall Kuta at The Hungry Pirate foodcourt. The workshop itself was intended to make everyone able to take a good food shots, regardless of what kind of gear they have at hand. There were also some advanced tips for those professionally managing their business's social media accounts, starting from defining their goals, how to best engage their audience, and social media management tips and tricks in general. As with the audience, turned out that most of the participants are joining the workshop because they manage a business, and seeking to optimize their business's social media performance. 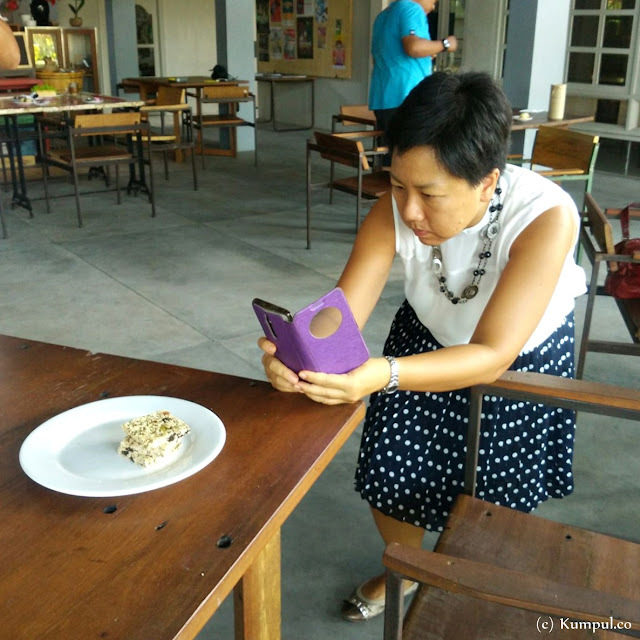 Staying true to the workshop theme, during the food photography session all of the participants are using either their mobile phone, or tablet. No one was using their DSLR, eventhough some we know carried it to the workshop. Thank you to all of our wonderful participants, Zia Nichols from Wholistic Balance, Daniel Kurniawan from Avilla Hospitality, Chris Maramis from Bho Bho Thai, Lovely Margareth and Gabriella Jeanette from Hard Rock Hotel Bali, Mia Aristanti from Muesli & Me Granola Bars, my good friend avid traveler Iman Soe, and Heru from Tegel Cap Kunci (the original one!). Big thanks to Punto Adjie from Balieatplaces for help mentoring the participants during food photography workshop -- do follow his Instagram account for list of good food you can enjoy in Bali, Kumpul for organizing the event, Kopi Kultur and Rumah Sanur for the support.